The Keikyu 800 Series is a four-door commuter-type electric multiple unit designed by Keikyu and the Tokyu Car Co. to increase the carrying capacity of trains on the Keikyu Main Line. 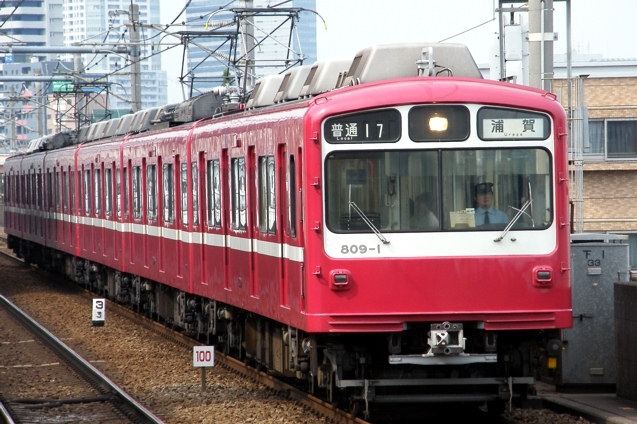 The 800 Series was the first new train on Keikyu tracks in 11 years and included many newer technologies such as field chopper control and regenerative brakes. However, it kept the traditional style of a single headlight on the forehead of the end cars and also single doors on the side. 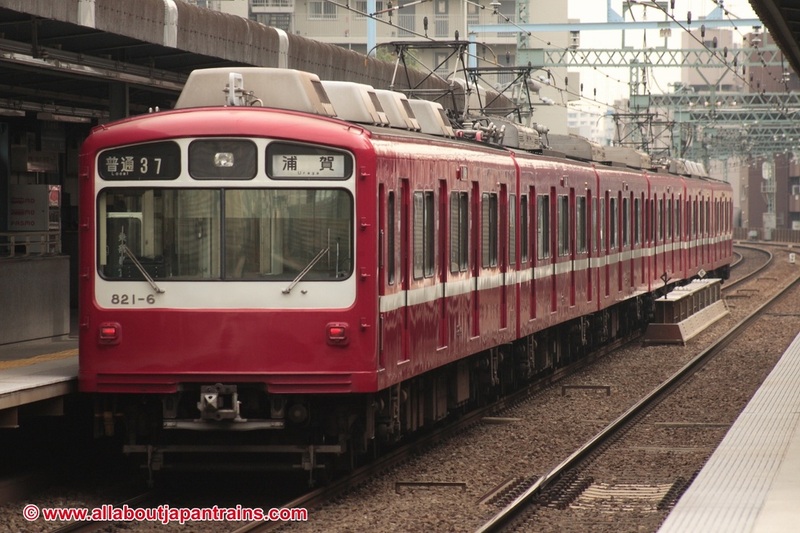 Keikyu had no intention of using these trains on their direct services through to the Asakusa Line Subway and they do not have emergency escape doors. 800 Series trains are currently being phased out of service, but continue to be operated as six-car regular trains. The 800 Series is sometimes referred to as the "Daruma" by fans due to its resemblence to the good luck figurine of the same name.